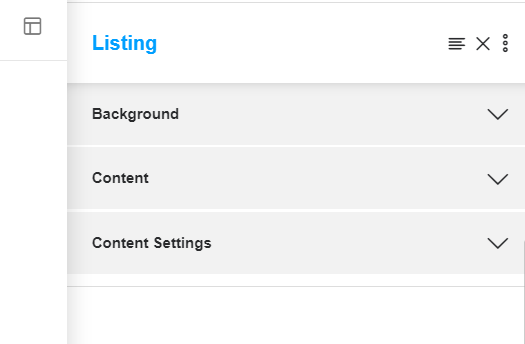 To add this block, navigate to Add a New Block, and in the categories, select Listings. There are a few block styles you can choose from, we will break down each. You will notice as you collapse the source, it will show the source options. 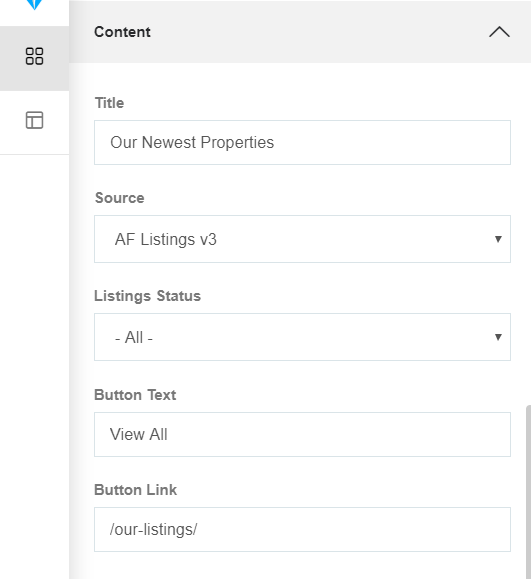 Note: You can display listings only from AF Listings v3 plugin for this block. This option will appear as you select the source. 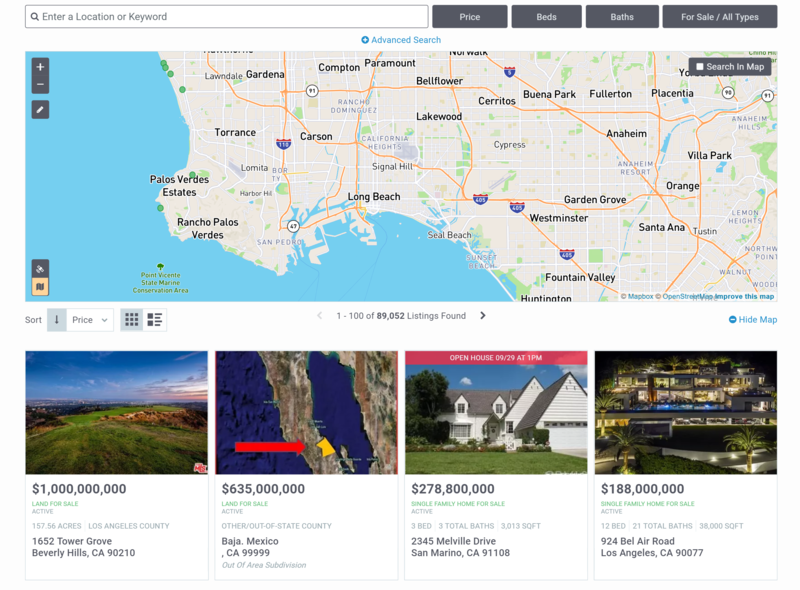 You can adjust to show listings depending on their status. 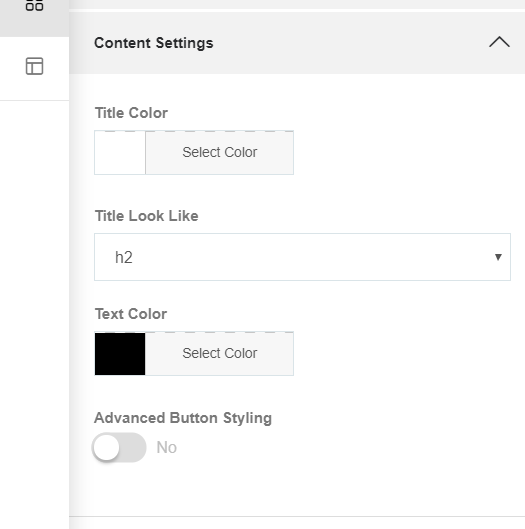 You can set the background to have an image, or a solid color. 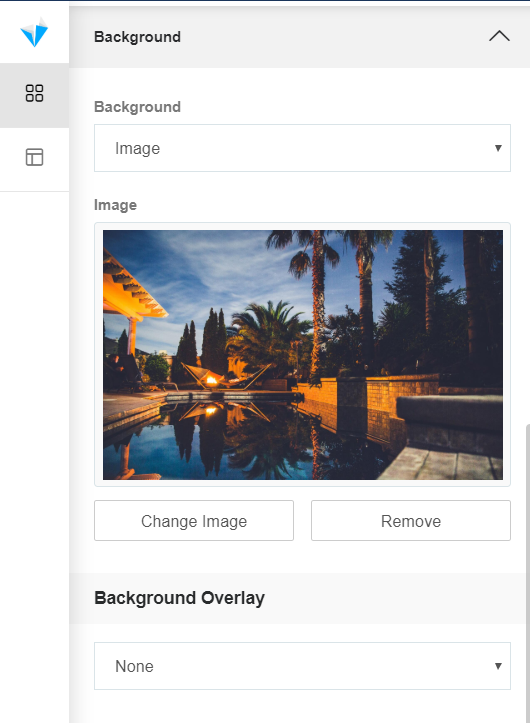 Note: If you select Image as a background, you can add additional overlays to it. Key Info: As you collapse the Source Tab, you will notice there are multiple source options you can choose from. 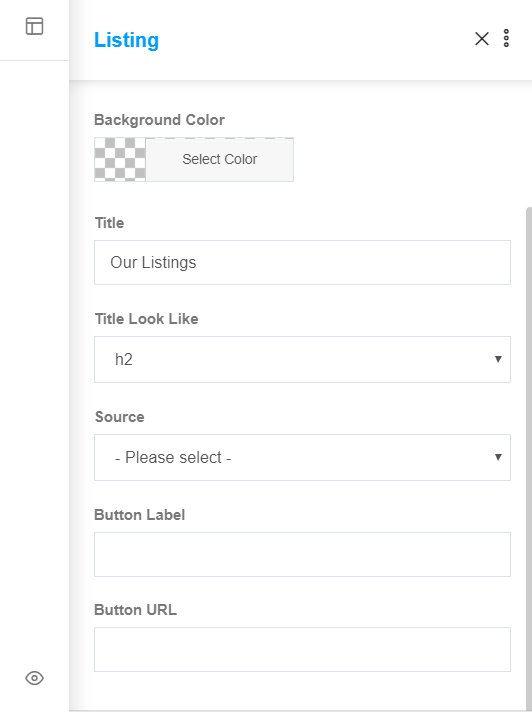 This includes AF Listings V2, V3, Showcase Hotsheet, and Diverse Custom URL. As you change the source, you will notice the field (box) below the source will change accordingly, depending on which source is active. 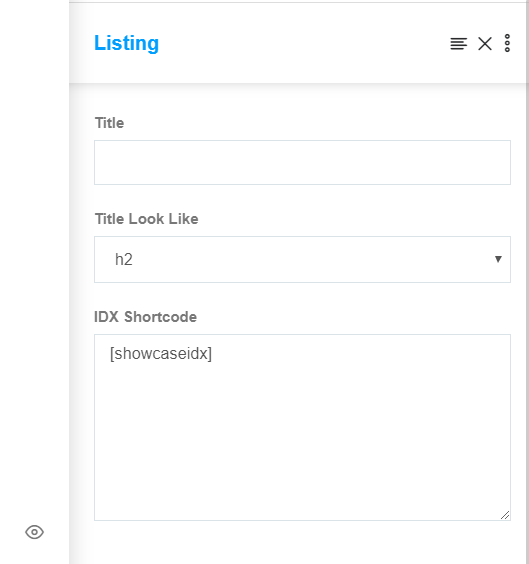 The Showcase Hotsheet will populate the list of Custom Searches that are created in your Showcase account.